With all the talk about amps, preamps, heads, stacks, tubes, and so on, a few readers have written to us with questions about the basics. Not everyone is a pro-level musician — many of you are just serious hobbyists or players aspiring to get to the pro level. So for those of you looking for a basic handle on all these amp parts and how they fit together, this tutorial’s for you! The preamp is the section of an amp that shapes the tone. It typically provides control over the tonal spectrum, like Bass, Mid, Treble, and Gain, which is typically used to dial in the level of distortion or overdrive in the tone. Effects loops and built-in reverb typically affect the tone generated in the preamp section of an amp. Preamps for bass guitar often times include parametric EQs, onboard compressors, and graphic EQs. These features are almost entirely absent from guitar preamps, though a few include graphic EQs and other amp-specific tone-shaping circuits. In tube amplifiers, 12AX7 and ECC83 are the most commonly used preamp tubes. They are basically the same thing sonically – ECC83 is just the European designation for the tube, while 12AX7 is the American designation. The irony is that most of these tubes are now made in Russia and China — go figure. Preamp tubes are also used in buffer circuits for effect loops and for bringing line level signals in power amps up to hotter levels, so if you see an amp listed as having 5x12AX7, all five tubes are generally not used in the tone shaping circuit. One is probably dedicated to the effect loop and another to the reverb. 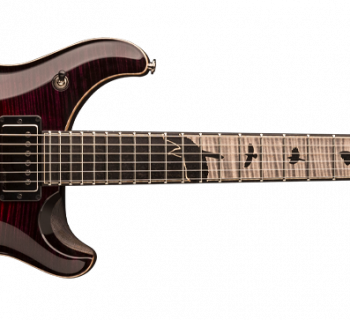 But of course, there are thousands of amp designs that all do things just a little bit differently from each other. Solid-state amplifiers do not use vacuum tubes and instead rely upon transistors or modeling technology to generate tone. Although most pro guitar players opt for tube amps, some pair solid-state or modeling preamplifiers with tube power amps, and many bass players opt for solid state rigs throughout. The power amp is the section of an amp that takes the preamp tone and amplifies it to a volume that you, your friends, and your neighbors, can enjoy. In tube amps, the most widely used tubes for high-wattage amps are the 6L6 (5881 equivalent in Europe) and EL-34 tubes. Amps with lower wattage often use smaller EL-84 or 6V6 tubes. Each of these tubes has different sonic characteristics, and depending on the amplifier design (Class A, A/B, tube or diode-based rectification), amps powered by these tubes can sound significantly different from one another. Many bassists use digital solid-state (not tubes) power amps today, which provide large amounts of wattage and volume, with very little physical weight. A 300-Watt tube power amp might weigh nearly 100 pounds, while a comparable digital power amp may weigh less than 10 pounds! Obviously, the sound from the amp has to come out of one or more speakers. The most widely used speakers in guitar amps are 12” speakers, though many classic amp designs are paired with 10” speakers. The speakers are built using various types of magnets and baffle material to generate differences in their sound. 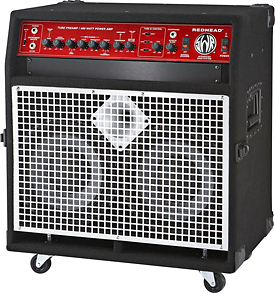 Bass guitar amps are often times paired with a wider range of speakers including larger 15” speakers, 10” speakers are more common, and high-frequency drivers (tweeters) are often added into the mix to provide a wide spectrum of tones. While there are hundreds of different amplifier manufacturers, the list of speaker manufacturers is much smaller, and the most widely-used speakers are made by Celestion, Eminence, Jensen, and Peavey. Guitar players typically use speaker cabinets in the following configurations: 1x12, 2x12, and 4x12. A 1x12 cabinet is the (typically) smallest and most portable option, while 4x12 cabinets are staples among rock and metal players (bassists in the rock world love their 4x10 cabinets). 2x12 cabinets provide a great solution for guitar players who don’t want to carry large, heavy 4x12 cabinets around but still want some significant presence to their sound. With the popularity of lower-wattage tube amps, 1x10 combos have recently become more common in the market. Once again, bassists have another advantage over guitarists when it comes to moving around large speaker cabinets. Many 10" speakers for bass cabinets use light-weight neodymium magnets. 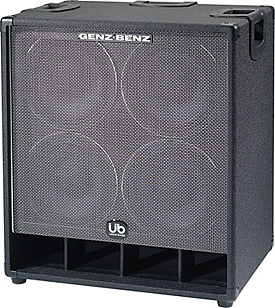 A typical 4x10 bass cabinet with these speakers can weigh 20 pounds less than a similar 4x12 guitar cabinet. But if you like to torture your roadies and your audience, you can also buy monstrous 8x10 bass cabinets! Who needs all those speakers? More speakers move more air, which creates a fuller presence to the sound, even though a 1x12 cabinet may have the same relative volume. Many premium 2x12 cabinets have a comparable presence to 4x12 cabinets, but we have yet to experience a 1x12 cabinet that provided the same kind of presence as either of the larger offerings. Speaker cabinets can be wired for either mono or stereo operation — many cabinets are wired to accommodate either configuration. Of course, a 1x12 cabinet is mono by default — you’d need two cabinets to run a stereo rig. Additionally, speaker cabinets come in three basic designs: closed-back, open-back, and semi-open. Most 4x12 cabinets are closed-back, but with 2x12 and 1x12 cabs, all three options are pretty easy to find. Most combo amps have open- or semi-open backs. It’s not just a convenient place to store your foot pedal and cables when in transport — the open back changes the sound of the cabinet (this is part of the characteristic sound of some classic Fender and Vox combo amps, for example). Some speaker cabinets have removable back covers, allowing you to experiment with changes in tone that this makes. It’s really just a matter of personal preference. 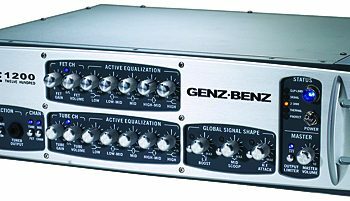 When talking about guitar amplifiers, if you’re thinking about an all-in-one box with a handle on top, a bunch of knobs, and one or more speakers, you’ve got a combo amp. The combo amp format is all-inclusive. The front panel has controls for the preamp and power amp, though the user experience is just that you have tone and volume controls, plus perhaps reverb and some other effects, and level control over an effects loop. 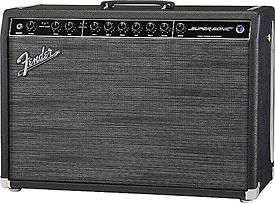 Typical combo amps are either offered in 1x12 or 2x12 configurations, and some 2x12 combo amps like the famous Roland Jazz Chorus JC-120 operate in true stereo. Generally speaking, a 2x12 combo provides greater sound presence than you’ll feel from a 1x12 combo, though the 1x12 can still be more than loud enough to play gigs in a large club. Most combo amps provide the option to connect external speaker cabinets for additional tone options. A 1x12 combo sitting on top of a 1x12 extension cabinet can provide a nice big sound, and you don’t have to take a larger, heavier 2x12 combo with you everywhere. A guitar head is an amp that just contains the preamp and power amp without any speakers built into the case. You generally place the head on top of one or more speaker cabinets to suit your needs, and the head may contain reverb/effects and an effects loop. Many bass heads are constructed in standard 19” rack-mountable configurations for installation in racks. Some come in their own enclosures from which they can be easily removed to facilitate racking at a later time. Although they look more like rack preamps (see Rack Separates below) than guitar heads, they are generally full amps containing both the preamp and power amp section in one head. For guitar players, a half stack is the arrangement of a head sitting atop one 4x12 cabinet, while a full stack is a head sitting atop two 4x12 cabinets. There are many variations on the stack scenario, which might include a couple of 2x12 cabinets, a 2x12 cabinet on top of a 4x12, and more. 4x12 cabinets typically come in both straight-front and slant-top designs. Commonly, when setting up a full stack, guitarists opt for a slant-top cabinet on top and straight-front cabinet below. Guitar players with half-stacks usually opt for the slant-top cabinet for its aesthetic appeal — there is no difference in the sound, and some companies don’t even offer slant-top versions of their cabinets. It’s purely a cosmetic thing… or is it? Some players prefer the slant-top cabinets in their half stack rigs because with the top speakers tilted at a very slight upwards angle they find it easier to achieve feedback from their guitars. And if you’re running a high-powered stereo rig, a pair of slant-top 4x12 cabinets sitting a few feet apart can sound quite nice! Describing stacks for bass players is a bit more variable. A half stack could be a head sitting on top of a 4x10 cabinet with a high-frequency driver, or it might be a 1x15 cabinet with a 2x10 cabinet on top of it. A full stack might be two 4x10 cabinets, one 4x10 on top of a 1x15, or perhaps two stacked 2x10 cabinets. The speaker configurations are far more varied in bass rigs. Guitar players are a bit less experimental in this regard. Players building modular rigs with their amps loaded into standard 19” equipment racks commonly use rack-mounted preamps and power amps. With this gear, the preamps and power amps are each contained in separate, rack-mountable chassis. This configuration is much more common in guitar rigs than in bass rigs since many bass rigs include the preamp and power amp in a single rack mountable device. 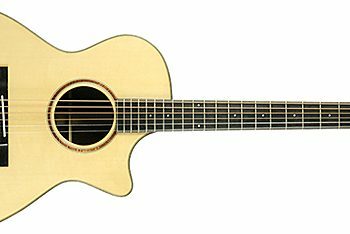 The advantage of this design is that it provides very flexible tone options — more than with almost any traditional amp or head. You can mix a preamp from one company with a power amp from another, or select from among multiple power amp options within a single company. 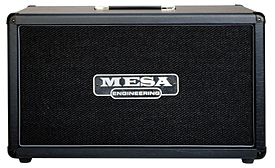 For example, Mesa/Boogie has multiple power amps with 6L6 power tubes as well as one with EL-84 tubes. The 6L6 power amps offer vastly different power ratings as well as other differences in their design that all contribute to a significantly different guitar tone. There are numerous options for rack-mounted preamps and power amps from multiple companies. We’ll look at some of these options in our rack gear feature story. In the meantime, our amp reviews section includes reviews of many rack preamps and power amps.